This steel 3-wheeled walker is sturdy yet easy to manoeuvre, and incredibly stable. 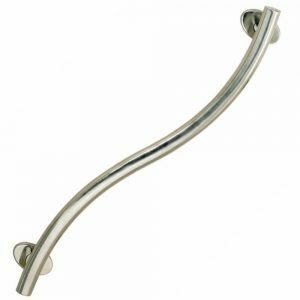 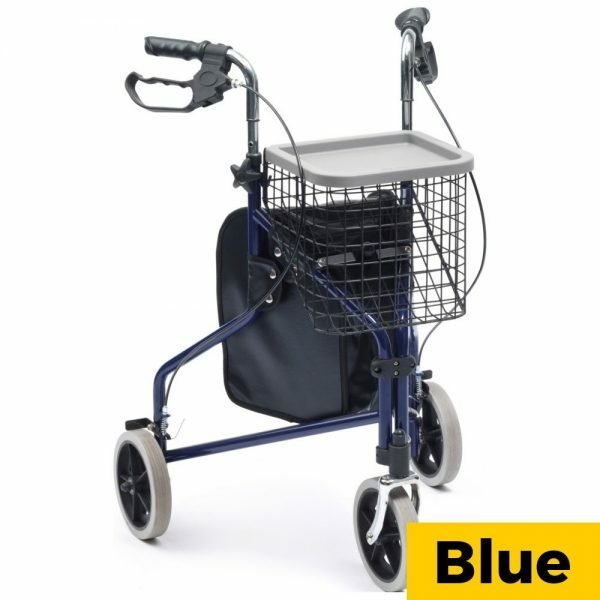 Featuring loop brakes so the walker can be stopped (by squeezing) and locked (by pushing down). 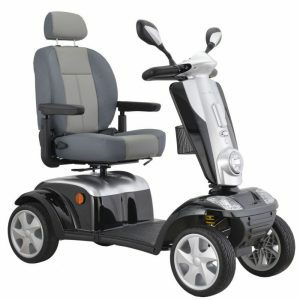 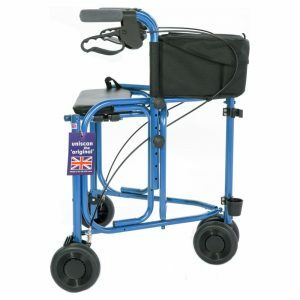 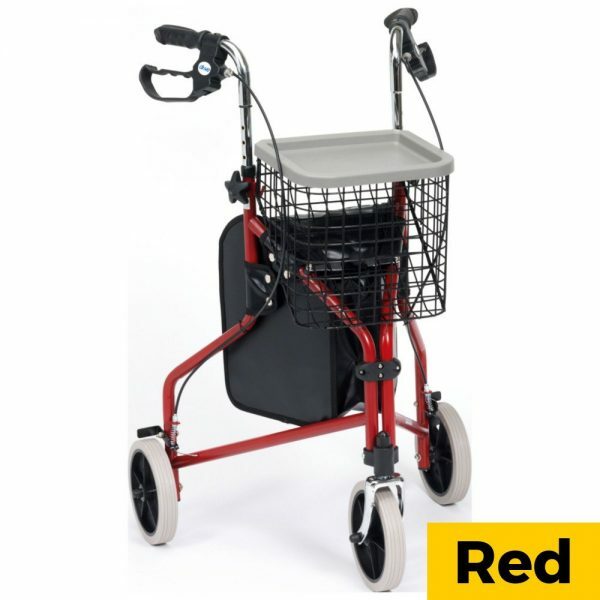 Suitable for both indoor and outdoor use, the walker also easily folds away for transport and storage. 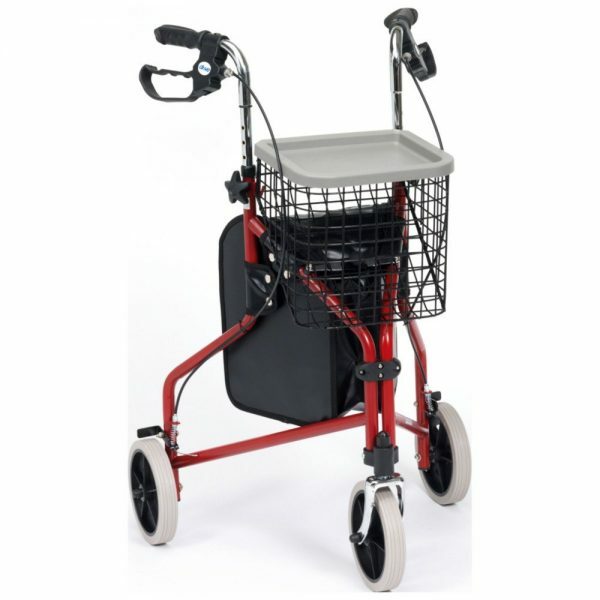 This particular model comes complete with Bag and a basket, with a tray lid for maximum storage and carry options.